For centuries, the cry “Tattoo!” echoed throughout Europe: first as a call to innkeepers to “turn off the taps!” so soldiers would return to their barracks, and then as the name for a grand display of military bands and drill teams. 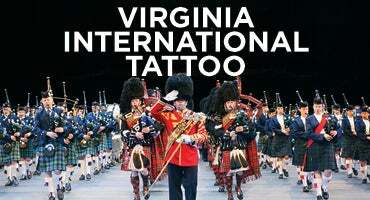 The legendary Tattoos of Edinburgh and Nova Scotia are now rivaled by the largest Tattoo in the U.S. - our own Virginia International Tattoo. 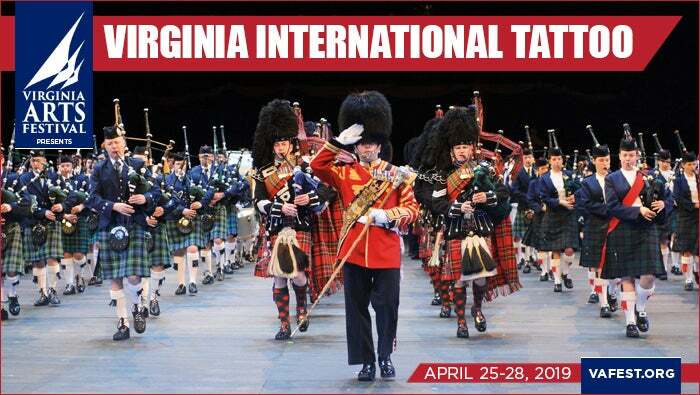 Mounting a mighty spectacle that changes every year, the Virginia International Tattoo summons more than 1,000 performers including fife and drum corps, bagpipers, military bands, precision drill teams, and performing ensembles ranging from step dancers to motorcycle stunt drivers. A salute to international friendship and an emotional call to the love of country in us all, the Tattoo is a not-to-be-missed celebration. See the show that America’s premier tourism organization has named the Number One U.S. destination for travelers (American Bus Association Best of the Top 100 Events in North America)!